Nearly half of U.S. households have a dog or a cat. 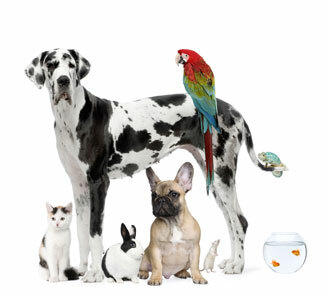 It is estimated that 10% of Americans are animal allergic. Animal dander, or skin flakes, as well as saliva and urine can cause an allergic reaction. Reactions can include itchy, watery eyes, runny nose, sneezing, nasal blockage, wheezing, shortness of breath, and itchy skin. These reactions typically occur soon after animal exposure and worsen with ongoing contact. Animal allergies can be diagnosed by taking a thorough medical history, observing signs of allergies on physical exam, and by performing allergy skin testing. Allergen avoidance measures for the home including keeping the pet out of the bedroom, removing carpeting, specialized (HEPA) air filters and vacuums, and bathing the pet can be helpful. Optimizing control of allergies with medications and allergen immunotherapy (allergy shots) can be especially beneficial.